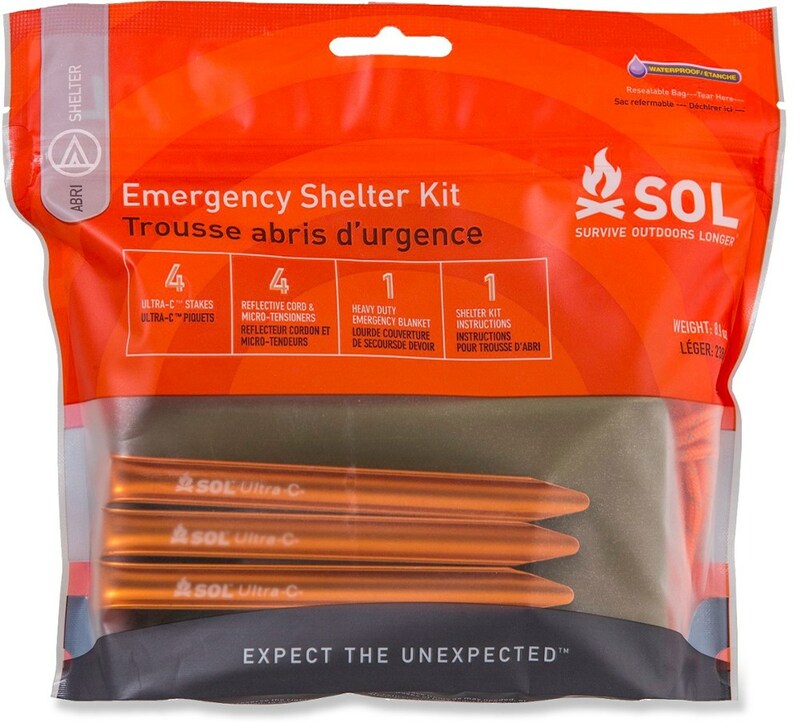 A great go to emergency shelter that's size allows it to be carried anywhere on any trip. Can put sleeping bag inside for added warmth. 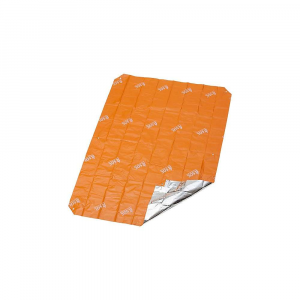 This bivy is great for its interned purpose which is an always packed rarely used emergency shelter for one person. From the factory this shelter comes in a very small 3 inch by 1.5 inch tube, This size will never be reproduced by you unless you are are a packing master. The smallest I have got the bivy is a 4 inches by 1 inch tube which took about 10 minutes of careful folding. I find this packs even better in the lid in my day pack. The reason I mention this is because there are more comfortable and better designed survival bivy's out there that you A can't repack at all or are huge in comparison. The size is for me what makes this product. Now for "livability". This bivy when it's stuffed in its stuff sack is actually quite large too long for the average person and too broad also. This gives you some room for gear or other things if you're of average build, but if you're quite large it will fit you, unlike some other bivys. I have spent one night in this bivy (actually only about 6 hours at night but how much sleep are you going to get in a survival situation). I waited for a rain storm and set out for my front lawn. It certainly kept the rain from reaching me and the winding from chilling me but the condensation that built up in the bag made me a little wet. My body temp remained about the same but when I left I felt more chilly than when I first entered. This is due to the moisture evaporating on my skin that I got from the condensation in the bag. Their claim that it does indeed reflect your body heat is true. I have two matching cheap sleeping bag. On a cool night I got in one without the bivy and I was cold. I then got in the bivy with the other sleeping bag and I felt warm, so they do in fact reflect your body heat. The reason I didn't give it five stars however is that it lacks features of other survival bivy's like a drawstring closing to keep the weather out and the fact of how thin the material. It is also a 1 to 2 time use item at best. 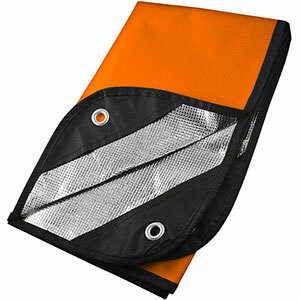 This is bivy is great for emergency use, but you have to remember that it is meant to be carried a lot and used rarely. 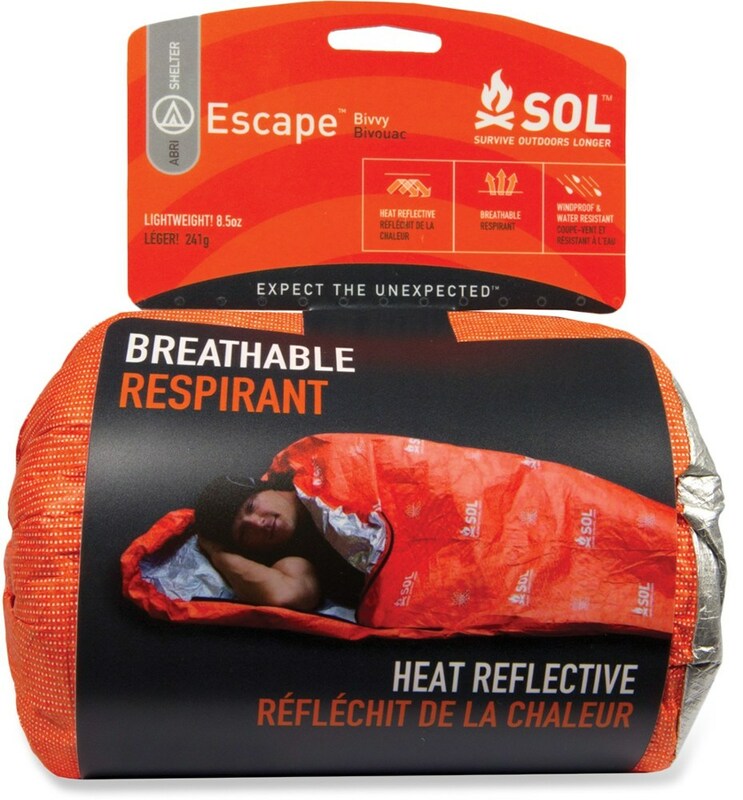 It is perfect for warming hypothermia victims and hiding from the elements in a survival situation or as a device to warm your sleeping bag when condensation isn't a worry. Caught out in the mountains two nights ago and used my bivvy for four hours until daylight. Kept me dry and comfortable, even though laid out on a rock!! (Surrounded by boggy ground. )Problem now to repack!!? Little condensation, but not a lot. Charles, I'm glad your epic came out okay. What were the temps that night? 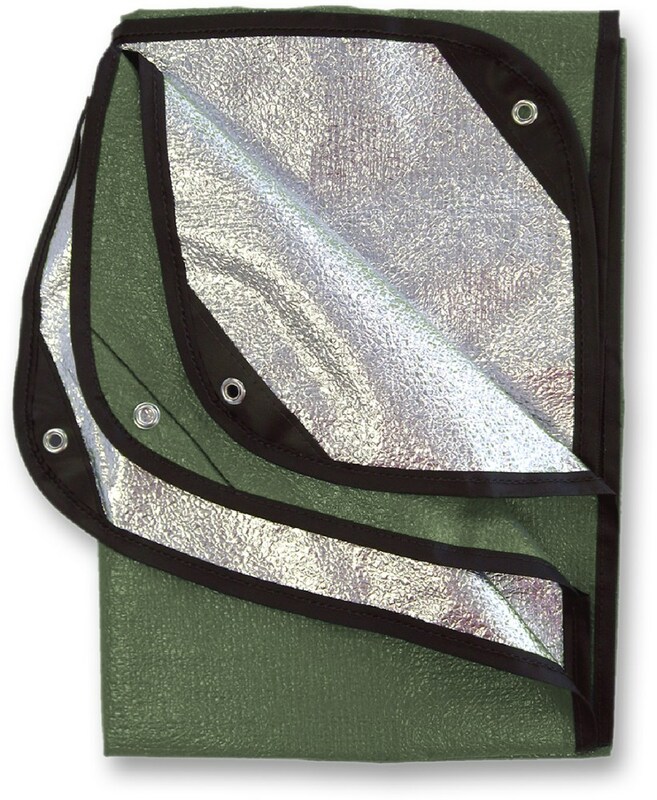 Small, compact, lightweight emergency bivvy bag keeps you covered and warm for temporary shelter. Easier to use than blanket style. always have in your pack without knowing it's there. Used one on summer slot canyon hike for unexpected overnight stay. I will be able to use more than one time. Comes in a small stuff bag. YES, I would recommend it. This is not my first recommendation of an immediate action shelter. The best one I have come across is a landshark, but barring that an orange 4 mil DOT bag is the best (you can get a slightly longer Coglans brand version). They are unsuccessfully attempting to merge a tube tent and a space blanket together. First off, space blankets are far from the ideal survival shelter that outdoor media has lead us to believe. Secondly, the material is quite flimsy. 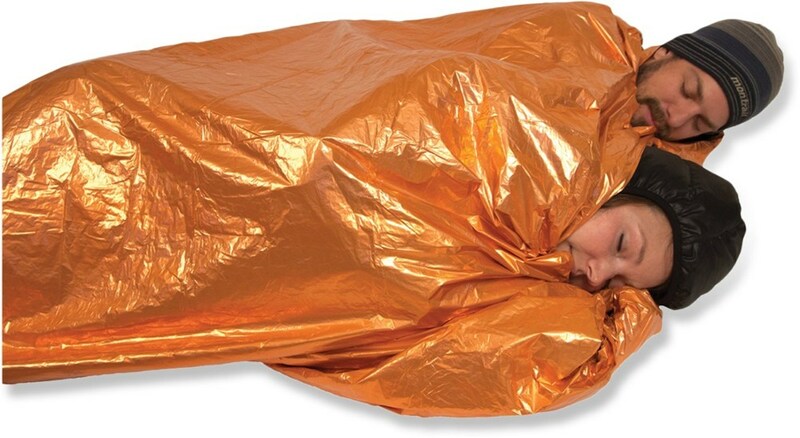 But it is better than a space blanket in that if it rips it won't shred and that it is in a tube shape. If you are going to use this as a survival shelter I recommend cutting a face hole in the other end so as to free up your hands.